Answer the question of what to write about to keep your subscribers engaged and coming back for more. 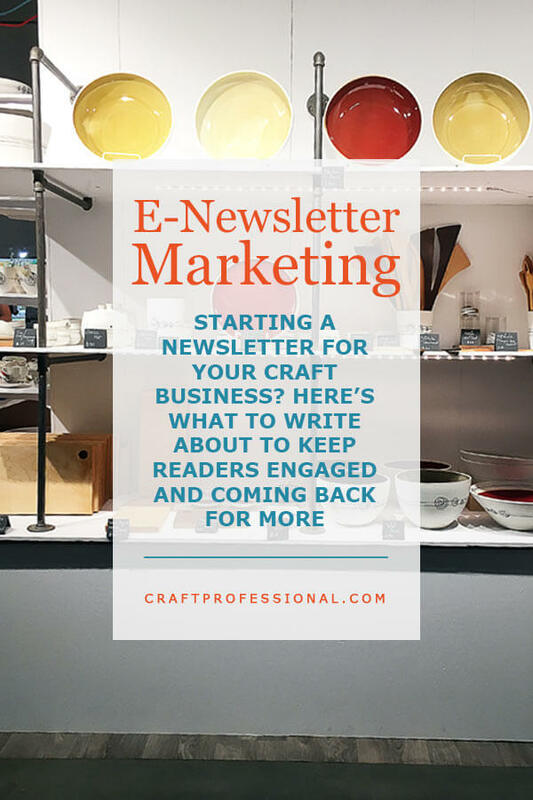 If you're going to venture into e-newsletter marketing for your craft business, you need to put some though into what you'll write about. 2. What would my customers want to get out of my newsletter? 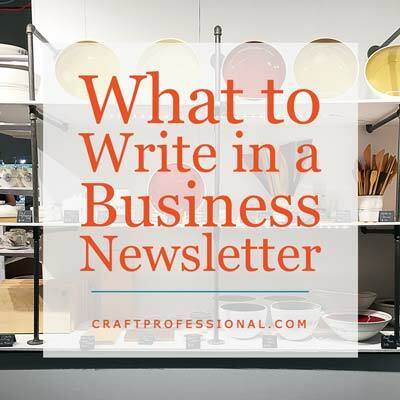 Before you write a word, consider why you want to launch a newsletter in the first place. You may hear this "why" called a most wanted response or MWR for short. A most wanted response is the thing you most want your readers to do. 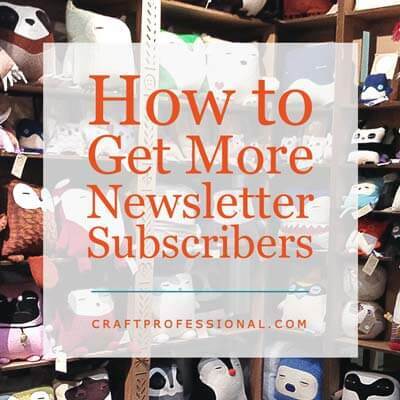 Do you want your newsletter subscribers to visit your Etsy shop? Come to a craft show? Buy a product from your own online shop? Subscribe to your membership site? 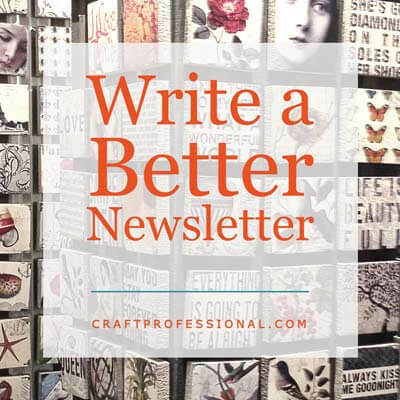 Knowing your MWR will help you to keep your newsletter focused. WHY WOULD SOMEONE SUBSCRIBE TO YOUR NEWSLETTER? 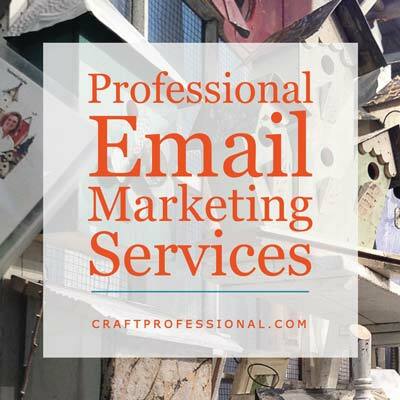 E-newsletter marketing is all about relationship building, and in relationships, you have to give before you take. You may know why you want to build a newsletter, but you also need to know why your customers want to receive your newsletter. Chances are, they didn't sign up to get incessant sales pitches in their email inbox. Take some time to consider why a person would sign up for your newsletter, and what would encourage him or her to continue to open new messages. Does your customer want to hear about special discounts? 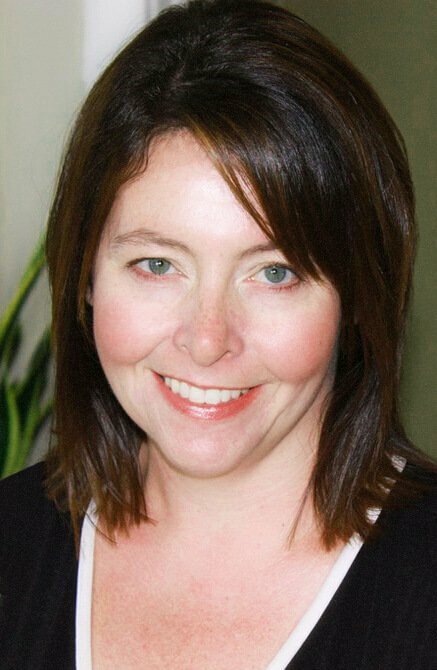 Maybe she wants an insider's look at your studio to see your new products in process. Perhaps your readers would like to stay connected to the local arts scene and want to hear about events in the area. Maybe your readers would enjoy an opportunity to name your newest product (contests can drive a lot of interest). You have your own most wanted response, but you have to get to it by way of the messages your customer wants to hear. It's a bit of an art in itself to find the right balance between relationship building and promoting your product, and it takes some practice to get there. If you're going to start your own business newsletter, it's wise to find out what your competitors are doing with their own newsletters. Sign up for your competitors' newsletters. Don't use your business email address if you want to maintain a little anonymity. Every time I suggest checking out the competition, I'm very aware that within the craft community, checking out and learning from the competition can be considered totally unacceptable. I get it. Anyone who has ever had their work copied (myself included) is sensitive to copycats. I'm NOT suggesting you become a copycat. I'm suggesting you discover what your competition does well, and learn from it. Interpret it in your own way, and apply it to your own unique business. While you're at it, discover what they don't do well, and improve. Look for holes in their business that provide opportunities for your business to fill. Find weak spots, and do those things far better to make your own business stand out above the crowd. 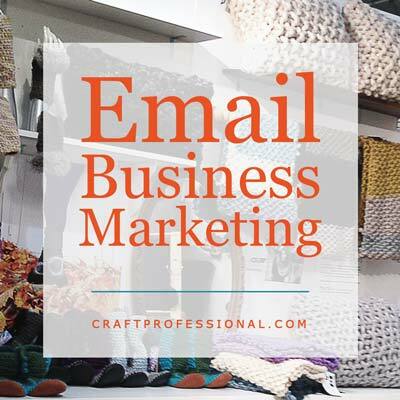 Ask yourself what is special about your company, and aim to communicate that in your emails. What can you write to make your subscriber happy they signed up? How can you make someone look forward to seeing your email in their inbox? I personally like to keep idea files on paper rather than digitally. Some organizing gurus disdainfully proclaim you are missing the boat if you're not keeping your important notes in a digital format. I say phooey to them. I find digital files get completely lost. I forget about them and stop using them only to find them months later floating around somewhere on my laptop. Then I feel like I'm terrible at organization. It turns out, visual learners tend to do better with paper-based organization systems. (I read this little tidbit a few years ago, and now I can't find it again to credit the source.) So, if you feel like your digital note keeping and organization is unreliable, try keeping notes on paper. You might be pleasantly surprised to find you're not bad at organization, you're just using the wrong system for the way you think. Keep a file, either digital or on paper where you can jot down email topic ideas as they come to you. Over time, you'll grow a list of go-to ideas you can use whenever you're not sure what to write. 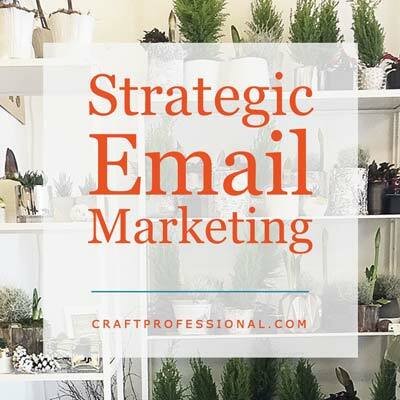 Creating a consistent format for your newsletter can help make your emails more readable for subscribers because they'll know what to expect. 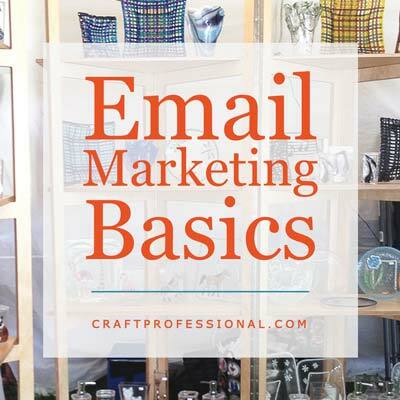 On your end, a consistent format can make newsletters much easier to write because you'll know what type of information you need to include in each edition. You won't have to reinvent the wheel every time you want to send a newsletter. In my own newsletter, I simply link to the newest articles I've written, and I include any older articles I've updated. Recently, I've started work on delivering articles with seasonality in mind as well. 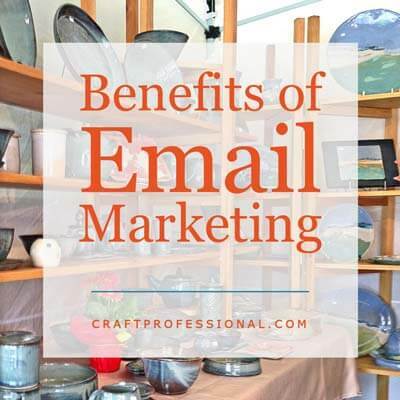 For example, craft professionals are busy at shows in the summer, so I try to share plenty of craft booth photos in the summer when they are working on their booths. I currently try to keep my newsletter shorter than I have in the past. People's inboxes are full, and they don't have a lot of time, so I strive for a balance between providing quick information and valuable information. 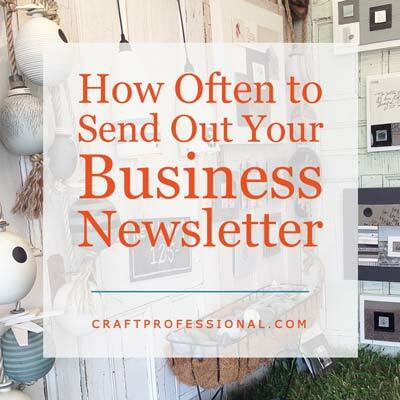 Once you've clarified what you want to accomplish with e-newsletter marketing, why a customer would sign up for your newsletter, and what types of topics you might cover in your newsletter, the next consideration is how often should you send your newsletter.